Fact Sheet: First Step Understandings Regarding the Islamic Republic of Iran’s Nuclear Program. President Obama has been clear that achieving a peaceful resolution that prevents Iran from obtaining a nuclear weapon is in America’s national security interest. Today, the P5+1 and Iran reached a set of initial understandings that halts the progress of Iran’s nuclear program and rolls it back in key respects. These are the first meaningful limits that Iran has accepted on its nuclear program in close to a decade. 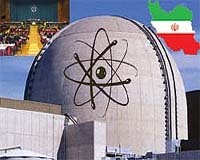 The initial, six month step includes significant limits on Iran’s nuclear program and begins to address our most urgent concerns including Iran’s enrichment capabilities; its existing stockpiles of enriched uranium; the number and capabilities of its centrifuges; and its ability to produce weapons-grade plutonium using the Arak reactor. The concessions Iran has committed to make as part of this first step will also provide us with increased transparency and intrusive monitoring of its nuclear program. In the past, the concern has been expressed that Iran will use negotiations to buy time to advance their program. Taken together, these first step measures will help prevent Iran from using the cover of negotiations to continue advancing its nuclear program as we seek to negotiate a long-term, comprehensive solution that addresses all of the international community’s concerns. In return, as part of this initial step, the P5+1 will provide limited, temporary, targeted, and reversible relief to Iran. This relief is structured so that the overwhelming majority of the sanctions regime, including the key oil, banking, and financial sanctions architecture, remains in place. The P5+1 will continue to enforce these sanctions vigorously. If Iran fails to meet its commitments, we will revoke the limited relief and impose additional sanctions on Iran. The P5+1 and Iran also discussed the general parameters of a comprehensive solution that would constrain Iran’s nuclear program over the long term, provide verifiable assurances to the international community that Iran’s nuclear activities will be exclusively peaceful, and ensure that any attempt by Iran to pursue a nuclear weapon would be promptly detected. The set of understandings also includes an acknowledgment by Iran that it must address all United Nations Security Council resolutions – which Iran has long claimed are illegal – as well as past and present issues with Iran’s nuclear program that have been identified by the International Atomic Energy Agency (IAEA). This would include resolution of questions concerning the possible military dimension of Iran’s nuclear program, including Iran’s activities at Parchin. As part of a comprehensive solution, Iran must also come into full compliance with its obligations under the Non-Proliferation Treaty (NPT) and its obligations to the IAEA. With respect to the comprehensive solution, nothing is agreed until everything is agreed. Put simply, this first step expires in six months, and does not represent an acceptable end state to the United States or our P5+1 partners. • Halt all enrichment above 5% and dismantle the technical connections required to enrich above 5%. • Dilute below 5% or convert to a form not suitable for further enrichment its entire stockpile of near-20% enriched uranium before the end of the initial phase. • Not install additional centrifuges of any type. • Not install or use any next-generation centrifuges to enrich uranium. • Leave inoperable roughly half of installed centrifuges at Natanz and three-quarters of installed centrifuges at Fordow, so they cannot be used to enrich uranium. • Limit its centrifuge production to those needed to replace damaged machines, so Iran cannot use the six months to stockpile centrifuges. • Not construct additional enrichment facilities. • Not commission the Arak reactor. • Provide daily access by IAEA inspectors at Natanz and Fordow. This daily access will permit inspectors to review surveillance camera footage to ensure comprehensive monitoring. This access will provide even greater transparency into enrichment at these sites and shorten detection time for any non-compliance. • Provide IAEA access to centrifuge assembly facilities. • Provide IAEA access to centrifuge rotor component production and storage facilities. • Provide IAEA access to uranium mines and mills. • Provide long-sought design information for the Arak reactor. This will provide critical insight into the reactor that has not previously been available. • Provide more frequent inspector access to the Arak reactor. • Provide certain key data and information called for in the Additional Protocol to Iran’s IAEA Safeguards Agreement and Modified Code 3.1. The IAEA will be called upon to perform many of these verification steps, consistent with their ongoing inspection role in Iran. In addition, the P5+1 and Iran have committed to establishing a Joint Commission to work with the IAEA to monitor implementation and address issues that may arise. The Joint Commission will also work with the IAEA to facilitate resolution of past and present concerns with respect to Iran’s nuclear program, including the possible military dimension of Iran’s nuclear program and Iran’s activities at Parchin. Facilitate humanitarian transactions that are already allowed by U.S. law. Humanitarian transactions have been explicitly exempted from sanctions by Congress so this channel will not provide Iran access to any new source of funds. Humanitarian transactions are those related to Iran’s purchase of food, agricultural commodities, medicine, medical devices; we would also facilitate transactions for medical expenses incurred abroad. We will establish this channel for the benefit of the Iranian people. During the first phase, we will continue to vigorously enforce our sanctions against Iran, including by taking action against those who seek to evade or circumvent our sanctions. • Sanctions affecting crude oil sales will continue to impose pressure on Iran’s government. Working with our international partners, we have cut Iran’s oil sales from 2.5 million barrels per day (bpd) in early 2012 to 1 million bpd today, denying Iran the ability to sell almost 1.5 million bpd. That’s a loss of more than $80 billion since the beginning of 2012 that Iran will never be able to recoup. Under this first step, the EU crude oil ban will remain in effect and Iran will be held to approximately 1 million bpd in sales, resulting in continuing lost sales worth an additional $4 billion per month, every month, going forward. • Sanctions affecting petroleum product exports to Iran, which result in billions of dollars of lost revenue, will remain in effect. • The vast majority of Iran’s approximately $100 billion in foreign exchange holdings remain inaccessible or restricted by our sanctions. o Restricted access to the U.S. financial system. • All sanctions on over 600 individuals and entities targeted for supporting Iran’s nuclear or ballistic missile program remain in effect. • Sanctions on several sectors of Iran’s economy, including shipping and shipbuilding, remain in effect. • Sanctions on long-term investment in and provision of technical services to Iran’s energy sector remain in effect. • Sanctions on Iran’s military program remain in effect. • Broad U.S. restrictions on trade with Iran remain in effect, depriving Iran of access to virtually all dealings with the world’s biggest economy. • All UN Security Council sanctions remain in effect. • All of our targeted sanctions related to Iran’s state sponsorship of terrorism, its destabilizing role in the Syrian conflict, and its abysmal human rights record, among other concerns, remain in effect. During the six-month initial phase, the P5+1 will negotiate the contours of a comprehensive solution. Thus far, the outline of the general parameters of the comprehensive solution envisions concrete steps to give the international community confidence that Iran’s nuclear activities will be exclusively peaceful. With respect to this comprehensive resolution: nothing is agreed to with respect to a comprehensive solution until everything is agreed to. Over the next six months, we will determine whether there is a solution that gives us sufficient confidence that the Iranian program is peaceful. If Iran cannot address our concerns, we are prepared to increase sanctions and pressure. In sum, this first step achieves a great deal in its own right. Without this phased agreement, Iran could start spinning thousands of additional centrifuges. It could install and spin next-generation centrifuges that will reduce its breakout times. It could fuel and commission the Arak heavy water reactor. It could grow its stockpile of 20% enriched uranium to beyond the threshold for a bomb’s worth of uranium. Iran can do none of these things under the conditions of the first step understanding. Furthermore, without this phased approach, the international sanctions coalition would begin to fray because Iran would make the case to the world that it was serious about a diplomatic solution and we were not. We would be unable to bring partners along to do the crucial work of enforcing our sanctions. With this first step, we stop and begin to roll back Iran’s program and give Iran a sharp choice: fulfill its commitments and negotiate in good faith to a final deal, or the entire international community will respond with even more isolation and pressure. The American people prefer a peaceful and enduring resolution that prevents Iran from obtaining a nuclear weapon and strengthens the global non-proliferation regime. This solution has the potential to achieve that. Through strong and principled diplomacy, the United States of America will do its part for greater peace, security, and cooperation among nations. Good to have an open press. The ‘Wiki’ on ‘Heavy Water’ is interesting …. Scotch and ‘heavy water’ ? God bless the weak and cowards!! !